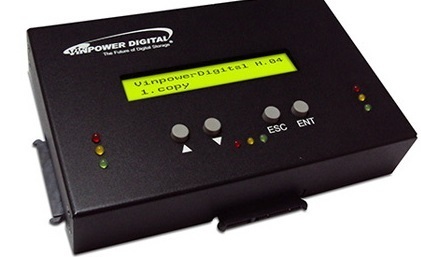 The Vinpower Digital standalone HDDMINI 2 target hard drive duplicator is the perfect solution for those that need to make back-up or residual clones of their master hard drive (HDD) content. The sleek compact light portable construction of the HDDMINI allows the user to take it anywhere and make quick and reliable clones of nearly any HDD using virtually any OS platforms, such as Unix, Linux, Windows, or Macintosh. The HDDMINI supports the FAT16/32, extFAT, NTFS, and ext2/3/4 file systems. Using the HDDMINI gives you piece of mind that each HDD will be copied accurately and quickly for a no hassle, low cost alternative to performing this task 1 at a time through a PC. Plus, the fact that the HDDMINI is so easy to transport, you’ll never have to worry about leaving this indispensable IT tool behind. Additionally, The HDDMINI performs the important Quick Erase and/or Full Erase options, but it can also erase the HDD up to the high government DoD 5220 standards which ensure there will be no trace of the content left behind. •Supports HDD sizes 3TB +: The HDDMINI can accurately copy very high capacity HDD's, including 3TB and larger, for long term archival storage or large capacity data files. 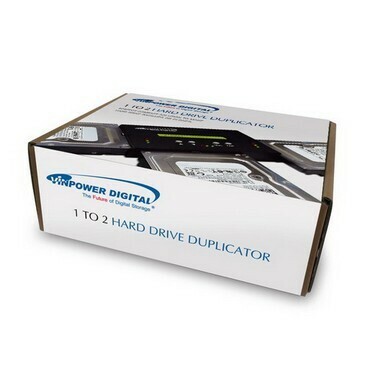 HDD Form Factor:- 3.5" and 2.5"